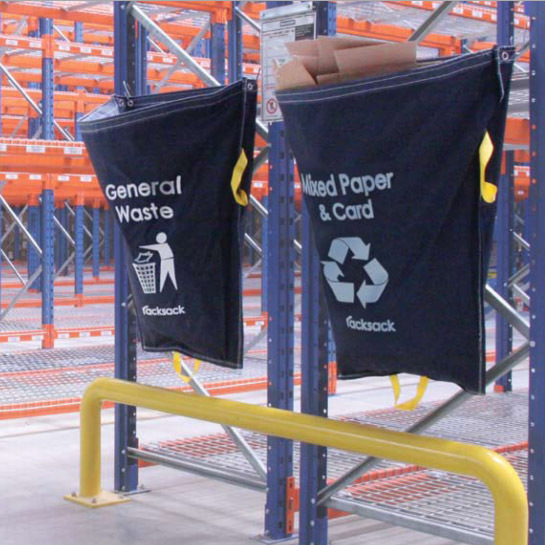 Racksack is a special re-usable waste sack for fitting on to the end of pallet racking units. 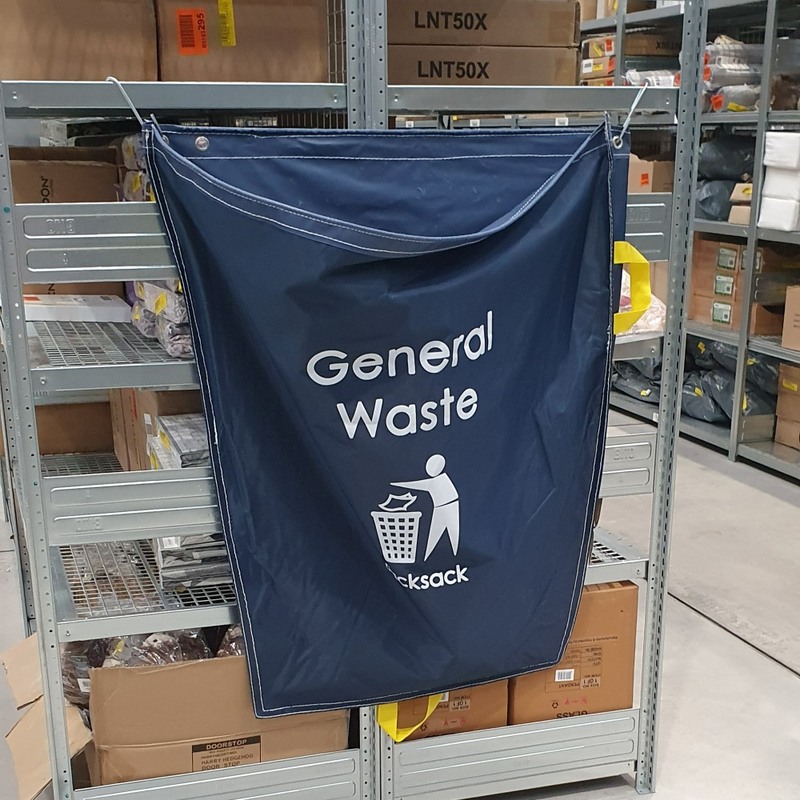 Although primarily designed for use in warehouses, these handy storage bags have also proved to be popular in factories, workshops, offices and stock rooms. Installation is made easy thanks to the 2 x 'S' shaped hooks supplied with each racksack, simply attach to 900/1100mm deep pallet racking frames or hang from any other suitable surface. When installed as intended onto the ends of racking, the tapered design of the bag hardly encroaches in to the floorspace - unlike a rubbish bin or cardboard box. Once full, the waste sack can be easily lifted down and taken to the main recycling/waste area thanks to convenient handles at either side and the bottom. Choose from 13 designs to help segregate warehouse or stockroom waste into the most common categories ready for recycling or disposal. The most popular designs are: general waste, shrink wrap & plastic only. 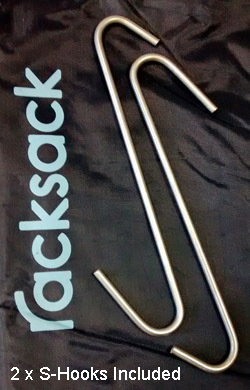 Note: Although capable of holding much more, we recommend that each racksack is only filled with waste totalling no more than 15kg to reduce the strain on the eyelets and to help operatives empty the sack safely. Floor ID Markers - 190mm Dia.